This list is based on figures from the Norwegian Alpine Resorts Association. All the ski resorts have developed excellent facilities for children in recent years, and are thus very family-friendly destinations. Whether you’re going on a family ski holiday with gentle blue slopes and ski schools, or are on the lookout for challenging black runs, great off-piste possibilities, or world-class snowboard and terrain parks, Norway has it all. Below, you’ll find a list of our largest ski resorts with updated snow reports. has a good ski school and is popular with families, and was one of the first places in Europe to achieve the prestigious certification Sustainable Destination. Considered by many the best ski area in Norway, Hemsedal is versatile with over 20 lifts, more than 50 slopes and activities for all ages. The popular resort has a large children’s area, snowparks and excellent off-piste opportunities. 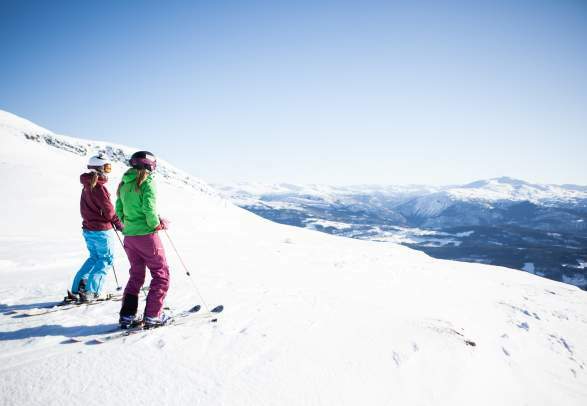 15 kilometres from Lillehammer is internationally known for varied skiing and snowboarding offers. Take the gondola to the top and choose between many long cruisers – the resort has more than 40 kilometres of slopes and more than 30 runs. 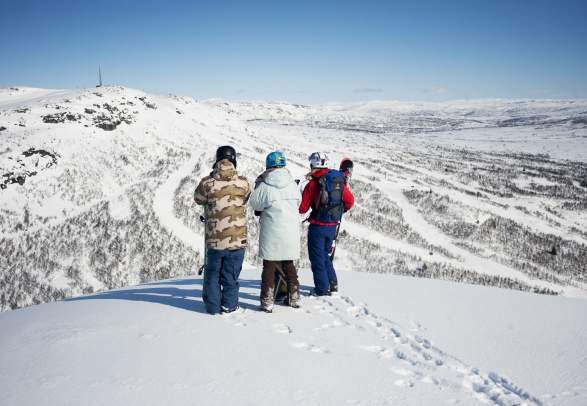 9 miles from Lillehammer is internationally known for varied skiing and snowboarding offers. Take the gondola to the top and choose between many long cruisers – the resort has more than 25 miles of slopes and more than 30 runs. city centre – and you can get there with local transport. With major events like X-Games, the Youth Olympics, the Snowboard World Cup and the Arctic Challenge in recent years, Oslo has really been put on the map as one of Norway’s best ski and snowboard parks. city center – and you can get there with local transport. With major events like X-Games, the Youth Olympics, the Snowboard World Cup and the Arctic Challenge in recent years, Oslo has really been put on the map as one of Norway’s best ski and snowboard parks. is recognised as a world-class area for skikiting, and is also a family-friendly resort with designated slopes and plenty of activities for children. is recognized as a world-class area for ski kiting, and is also a family-friendly resort with designated slopes and plenty of activities for children. was the site for the alpine skiing events during the 1952 Oslo Olympics, and here you can go skiing and snowboarding from 1,188 metres and pretty much all the way down to lake Krøderen at 130 metres. 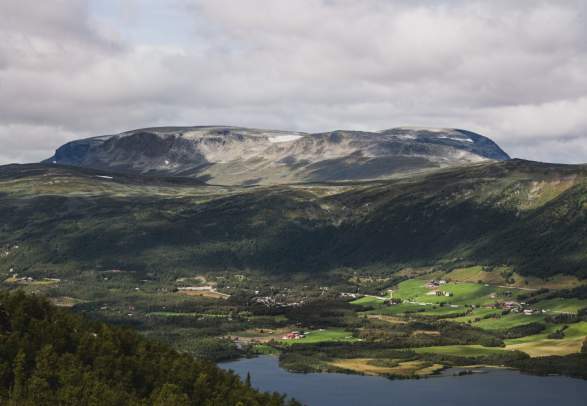 was the site for the alpine skiing events during the 1952 Oslo Olympics, and here you can go skiing and snowboarding from 3,897 feet and pretty much all the way down to lake Krøderen at 426 feet. Built for the 1994 Lillehammer Olympics. 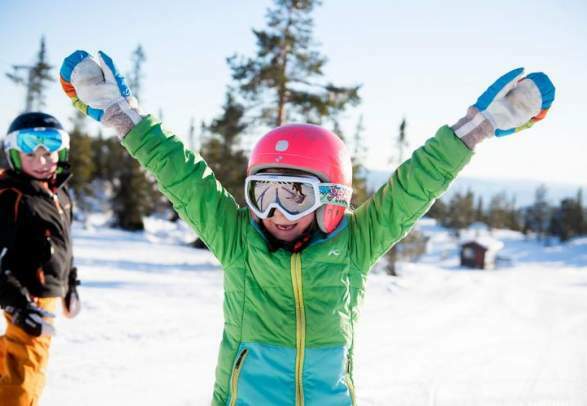 Since then, Kvitfjell has become one of the most modern ski resorts in Northern Europe and offers a range of competition-level slopes, large terrain parks and off-piste areas, as well as family-friendly slopes and a ski practice area. Kvitfjell is also proud to be a destination free from junk- and deep fried food. and right to the resort’s doorstep. If you don’t ski, there are other activities available, or you can learn to ski with the resort’s own ski school. Guided tours and cross-country skiing is also available. boasts more than 30 slopes, around 10 lifts and over 30 kilometres of groomed descent. The resort has slopes for every skill level, some of them floodlit in the evening. boasts more than 30 slopes, around 10 lifts and over 18 miles of groomed descent. The resort has slopes for every skill level, some of them floodlit in the evening. 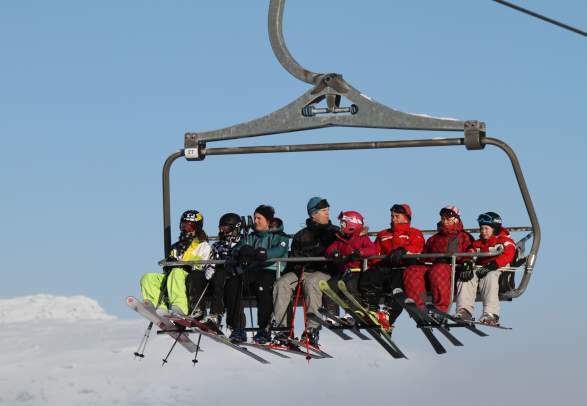 As published by the financial newspaper Dagens Næringsliv, based on elevator-systems, downward slopes, children's areas, off-piste, terrain-parks and lunch options.